The entrepreneurial idea of Foodways is that of the market, in Italy and around the world, the typical products of molise: a cornucopia of flavors, a gallery of natural art, museum, natural, historical and architectural open-air, through a computing platform, a time to become the first marketplace of the Italian food and wine tradition. Foodways is the intermediary between the final customer and the producer of the good, but it is also the portal that you want to tell the beauty of the Molise region through its cuisine, through the producers that you are the guardians and tramandatari of ancient traditions. In particular, the aim is to enhance the territory, its historical memory, culture and eno-gastronomy, even through events called “Aeserninorum”. Aeserninorum was in fact born with the aim to narrate the various chapters of the ancient history, with the help of associations, historians, reenactors and manufacturers affialiati to the portal foodways.en. In this regard, the platform, in addition to having a section devoted to the sale of products, provides another specifically dedicated to landscapes, monuments, customs and costumes typical of the region of molise, with the constant updates on products and in general on all the significant events that can give visibility to our beautiful region. Furthermore, our concept also includes the conclusion of agreements with hotels, restaurants and agritourisms, in order to provide electronically through the platform, packages include accommodation and meals at local establishments, so as to increase the regional tourist offer. The goods in question are intended for an audience as wide and diverse, which can be considered as “lovers of culture and quality of Italian life”. 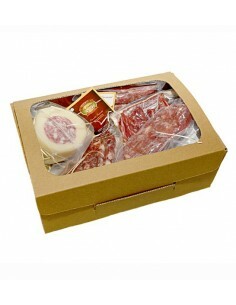 We cater not only to individuals, italians and foreigners, who have the possibility to receive directly at home products that are difficult to find on the market, but also to the restaurants in the world give luster to Italian cuisine, as well as to companies interested in making a tribute to their customers or to their employees. To simplify logistics management, it was decided to follow two parallel streets that provide on the one hand, the outsourcing of transport across many virtual stores who are the producers and on the other the creation of a stock real as the small storage of the goods for ready delivery. The handling and delivery of the products, initially destined to the Countries of the EU and subsequently to a wider market, will be made through courier, in order to speed up the active cycle of the order and offer a higher level of service for the customer. In fact, he himself will be able to monitor, at any time, the tracking of every order directly on the website.